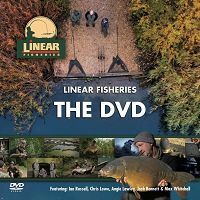 Linear Fisheries has won a number of awards over the past few years - once again showing that we are one of the best venues in the UK. 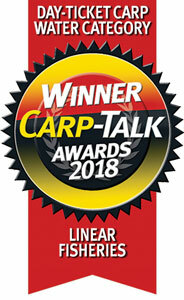 At the Essex Carpin'On Show held in March 2018 Linear Fisheries Oxford were awarded the Carp-Talk Award for "Best UK Day-Ticket Carp Water of 2017" as voted for by the readers of Carp-Talk magazine. 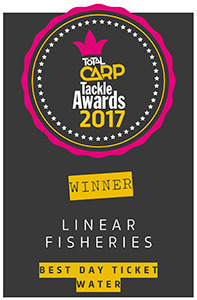 Linear Fisheries Oxford have won the coveted Total Carp award for "Best Day Ticket Water" in their recent Total Carp Tackle Awards for 2017 - as voted for by the readers of the magazine. At the Essex Carpin' On Carp Talk Awards 2017, in March 17. 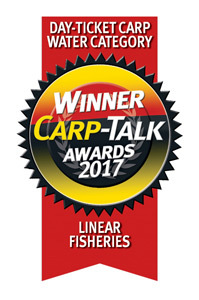 Linear Fisheries Oxford were awarded the Carp-Talk Award for "Best UK Day-Ticket Carp Water of 2016" as voted for by the readers of Carp-Talk magazine. 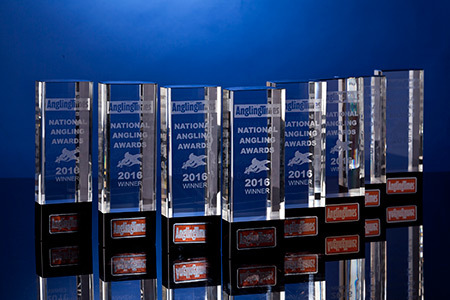 Linear Fisheries Oxford has been voted Stillwater of the year in the Angling Times, 2016 National Angling Awards. 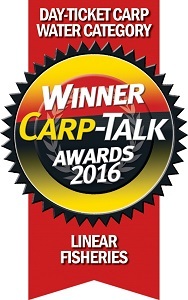 At the Essex Carpin'On Show held in March 2016 Linear Fisheries Oxford were awarded the Carp-Talk Award for "Best UK Day-Ticket Carp Water of 2015" as voted for by the readers of Carp-Talk magazine. 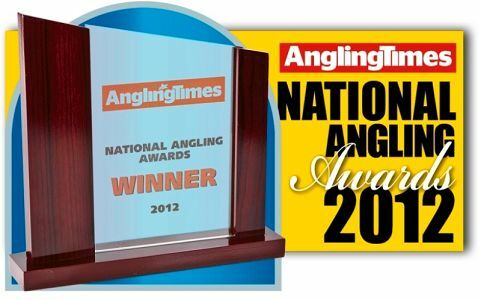 Linear Fisheries Oxford has been voted Stillwater of the year in the Angling Times, 2015 National Angling Awards. 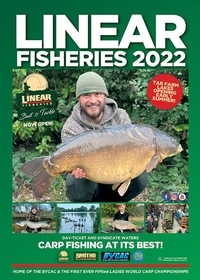 At the Essex Carpin'On Show held in March 2015 Linear Fisheries Oxford were awarded the Carp-Talk Award for "Best UK Day-Ticket Carp Water of 2014" as voted for by the readers of Carp-Talk magazine. 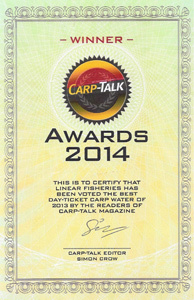 At the Essex Carpin'On Show held in March 2014 Linear Fisheries Oxford were awarded the Carp-Talk Award for "Best UK Day-Ticket Carp Water of 2013" as voted for by the readers of Carp-Talk magazine. 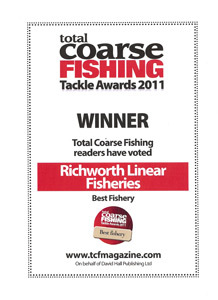 Linear Fisheries has been voted Fishery of the Year in the Angling Times 2012 National Angling Awards. 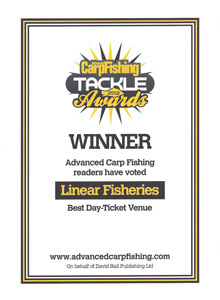 Linear Fisheries Oxford have won the coveted Total Carp and Advanced Carp Fishing awards for "Best Day-Ticket Venue 2012" as voted for by the readers of these magazines. 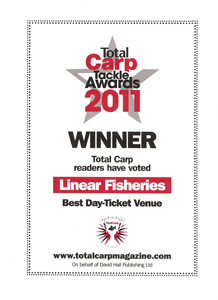 Linear Fisheries Oxford have won the coveted Total Coarse Fishing "Best Fishery 2011" award, and the Total Carp and Advanced Carp Fishing awards for "Best Day-Ticket Venue 2011" as voted for by the readers of these magazines. 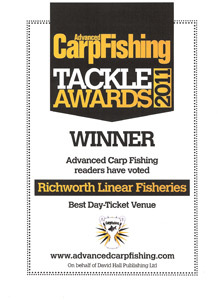 At the Essex Carpin’On Show held in March 2011 Linear Fisheries Oxford were awarded the Carp-Talk Award for "Best UK Day-Ticket Fishery of 2010" as voted for by the readers of Carp-Talk magazine. 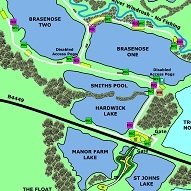 At the Essex Carpin’On Show held in March 2010 Linear Fisheries Oxford were awarded the Carp-Talk Award for "Best UK Day-Ticket Fishery of 2009" as voted for by the readers of Carp-Talk magazine. In the second and final year of the awards we won the coveted Best Day Ticket Venue award for the second time. 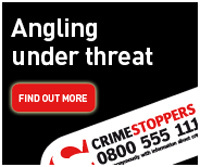 Again the award was from David Hall Publishing Ltd, the company behind Total Carp and Advanced Carp Fishing Magazines as voted for by their readers. 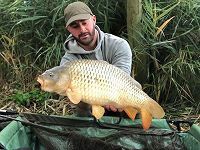 David Hall Publishing Ltd, the company behind Total Carp and Advanced Carp Fishing Magazines, produced various Tackle Awards voted for by their readers. 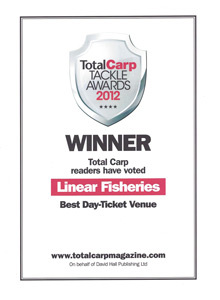 In the awards first year Linear Fisheries won the Best Day Ticket Venue award.